My convenient at-home drink station includes coffee maker, tea & coffee accessories, and Soda Stream for carbonated water. What do you do at home when you get a few minutes to relax? One of my favourite things is to brew a cup of coffee or tea and sit back with a book. Your home should provide you with easy ways to recharge without creating a hassle trying to do it. 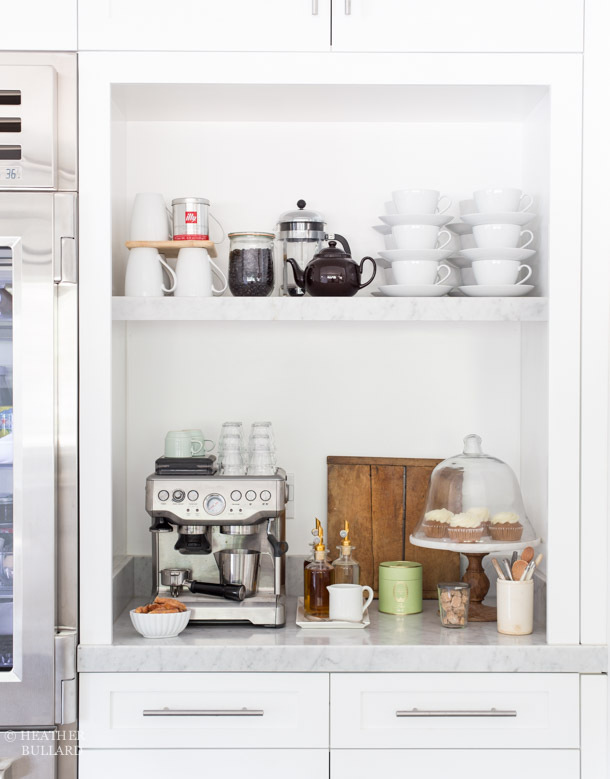 Getting your coffee quickly in the morning when you're half awake, or serving tea to guests after supper shouldn't be time consuming and frustrating because you're all over the place getting the things you need out of different cupboards. 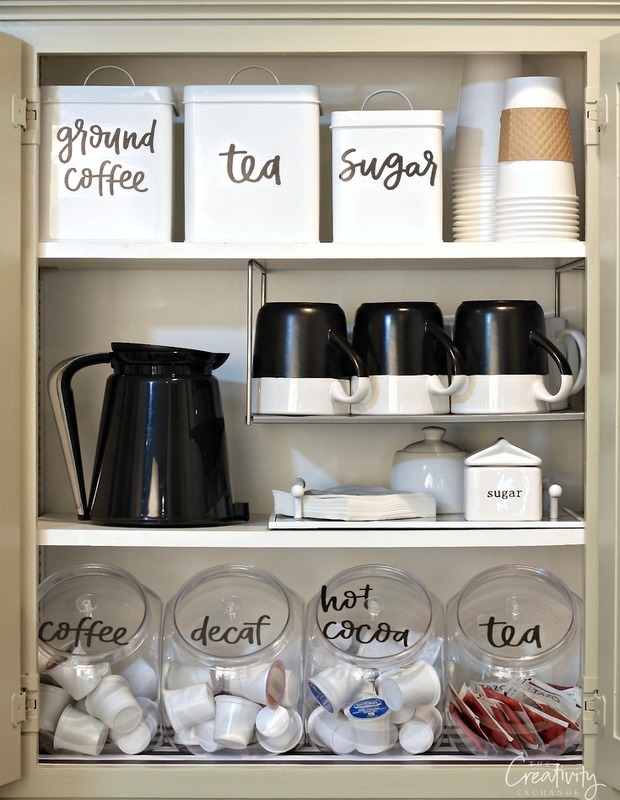 So it's time to simplify your routine by creating an organized coffee and tea station in your kitchen. Whether you're a die-hard coffee addict or love your tea, most everyone likes a warm drink either daily or at least occasionally on lazy weekends or when company is over. I personally drink both, and also drink a cup of warm lemon water as the beginning to every morning. Either way, having all the necessary drink supplies and tools in one spot so you don't have to search or go back and forth to different cabinets makes life simpler. Making a task like this easier is a very small thing that can make a big difference in your day. I urge you to pull out all of your coffee and tea or other favourite drink along with all the accessories needed into one spot on your kitchen counter. You may or may not have room to display them on the counter - you can also keep them tucked away all together in one kitchen cupboard as well. 1. Transfer all varieties of coffee and tea into permanent containers like mason jars, tins, baskets or other containers. Make them easy to see, cute to display, and label them so you can easily tell which one to grab. 2. Store all spoons, strainers, diffusers, stir sticks, etc. together. Keep them in a cup or tin or jar or hang them up on a hook so you don't have to search through the silverware drawer. If you use lemons, honey or cinnamon with your warm drinks, have them handy as well - perhaps in a pretty basket, a honey pot or a vintage tea cup on a windowsill nearby. And remember to keep filters in the station as well. 3. 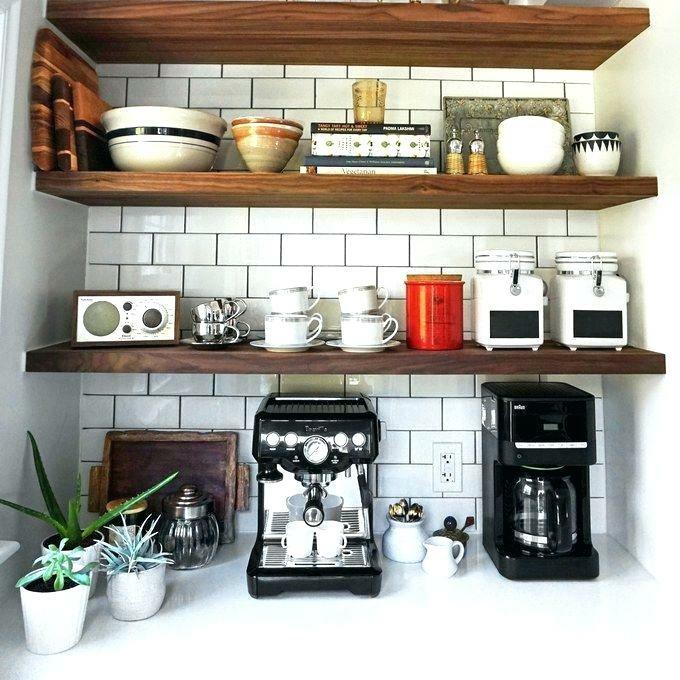 Stack or hang coffee and tea cups with or near the supply station. Consider keeping everything in one or two trays or baskets so it's grouped neatly together. 4. 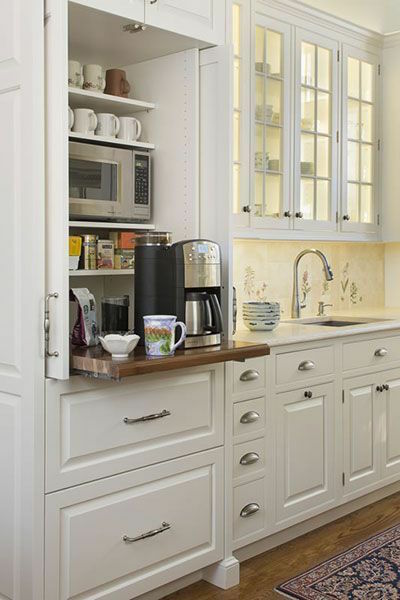 This may seem obvious but keep the station close to the coffee maker and/or teapot. It'll save you from criss-crossing the kitchen when you're brewing a pot. 5. Try to keep the drink station close to the sink (if you have an outlet there). The closer you are to the water supply you need, the easier it will be. I've found that using my precious brainpower on routine daily things like making coffee is a waste of energy that I could better use on something meaningful and purposeful later on in the day. 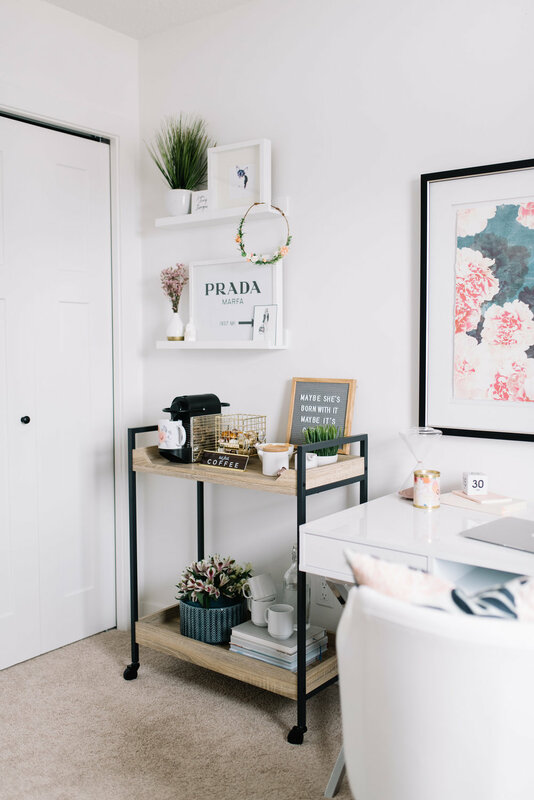 Having an organized coffee and tea station allows my brain to get into the habit of grabbing the same things in the same place and therefore doesn't have to think and take up energy in the process. It simplifies that part of my day in a way that allows me to be still and present and gain a little peace and rejuvenation. Are you ready for more function and simplicity in your kitchen too? Great! Here's more inspiration. Get creative, stay simple, and have fun!